breath * life * flow: bubbles, anyone? bath à deux! 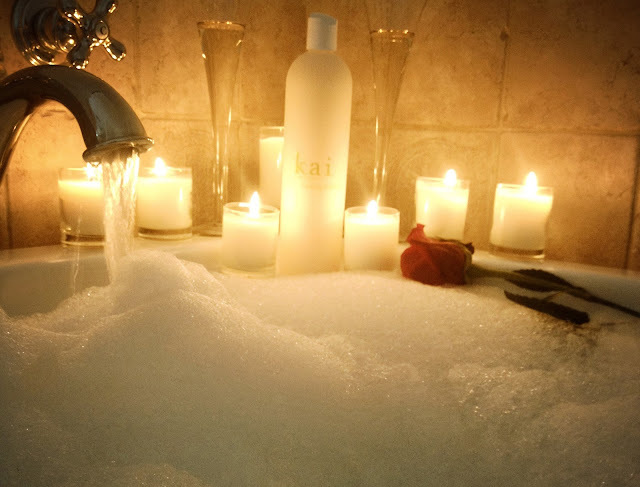 let the bubbles & bubbly begin, add some candles & your valentine? très romantique! wishing you a very romantic valentines day! Hi, I am very new to your products, and was so excited when my husband gave me the Kai perfume oil for Valentine's Day. Here is my question, have you heard from people who are allergic to Kai? i think I am, I have had itchy, swollen and watery eyes, I have been hoarse and my face has been swollen since Thursday. My husband suggested it might be KAI, and so I am not wearing it today. I would be so sad if it is Kai and am wondering if there is an ingredient in the oil that is not in your other products (essential oil??? ), because I truly love the fragrance (and so does my husband). Any feedback would be so much appreciated. Thanks! PS, I do not have other allergies, so this is pretty new to me.